Blog » Tax Free childcare – will your family be better off? Tax Free childcare – will your family be better off? With the average cost of full time childcare just over £10,200 help may be at hand for the vast majority of working parents – including self employed for the first time. From 21st April 2017, parents can apply for tax-free childcare. But what does it mean for you and your family? 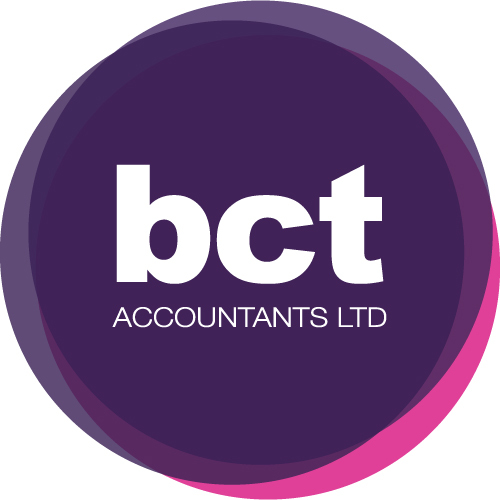 Mumbler mum of two and qualified Chartered Accountant Catherine Stork from BCT Accountants explains the new scheme and how it compares to childcare vouchers. It’s a way to cut your childcare costs by opening a government savings accounts that will see you earn a 20 per cent top-up to any contributions you make. It will see the government top-up your savings towards childcare costs by 20 per cent, up to a maximum government contribution of £2,000 and it is understood NS&I will provide the scheme’s helplines and the ‘Childcare Accounts’ parents will have to open through the government website GOV.UK. You can open one account per child (up to the age of 12 – or 17 if disabled) and deposits up to £8,000 in each will be rewarded with the maximum government contribution of £2,000 (£4,000 if the child is disabled). You can save more than £8,000 in each account but any extra will not earn a top-up. Once you’ve applied to open an account through GOV.UK, HMRC will check you are eligible for the scheme and, if you are, NS&I will open it for you. Working parents – including the self employed, which is a key component of the new scheme as these parents are excluded from existing employer run childcare schemes – will be able to use the money to pay a childcare provider of their choice, as long as it is registered with the scheme. It is assumed you will pay the provider directly from your account electronically because while you will be able to withdraw funds from your account at any time, in so doing you will lose the government contribution. However, the government is yet to confirm this is the case. Both parents are able to contribute to the account for the same child as long as they are working and earning between a minimum of £115 a week each and a maximum annual salary of £100,000 individually. While both parents must be working to participate in the scheme, parents temporarily absent from the workplace such as those on paid or unpaid maternity, paternity or adoption leave will still be eligible. How does tax-free childcare compare to employer childcare vouchers? The tax-free childcare scheme will provide up to £10,000 of childcare per year (though parents of disabled children will get more help). However compared to childcare vouchers there’s no saving in National Insurance, which is 12 per cent for workers who are basic-rate taxpayers (or 13.8 per cent for employers). Will anyone be worse off? ‘Yes, employees will lose the NI saving they enjoy under the childcare voucher scheme and employers who will not be able save on employers’ NI by operating salary sacrifice schemes,’ However, which scheme you will be better off with depends on the amount of income tax you pay. We’re basic-rate taxpayers, which scheme is best for us? Two basic-rate taxpayers will only be better off with the new tax-free childcare scheme if they want to contribute more than the maximum voucher allowance of £5,720 to their account. But it’s not until childcare costs exceed £7,321 per annum that the tax free childcare account would be more beneficial. (£3,660 for a lone parent). We’re higher-rate taxpayers, which scheme is best for us? A couple where both parents are higher-rate taxpayers can purchase a maximum of £2,912 worth of vouchers a year, as they can each only buy £28 of vouchers per week, but it is not until their childcare costs exceed £6,115 per annum that the tax free childcare account would be more beneficial. (£3,058 for a lone parent). One of us pays basic-rate tax, the other pays the higher rate. How are we affected? A couple where one partner is a basic-rate taxpayer and the other a higher-rate taxpayer are able to buy a maximum of £4,316 of childcare vouchers a year through salary sacrifice but it is not until their childcare costs exceed £7,634 per annum that the tax free childcare account would be more beneficial. Can we use both schemes? The new tax-free childcare scheme is due to launch in early 2017 and the existing childcare voucher scheme will close to new entrants in 2018. However, during the overlap, if you already claim childcare vouchers from your employer, while you will be able to switch to the new tax-free childcare scheme, you won’t be able to take advantage of both. 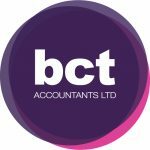 The scenarios above are guidelines based on employment income alone, if your circumstances vary and/or you have any queries regarding the new scheme send us an email (office@bctaccountants.co.uk) or give us a call on 01423 431889.